In the following, we present three examples of houses with ground floor, suitable for a young couple, as well as for a family with a child. 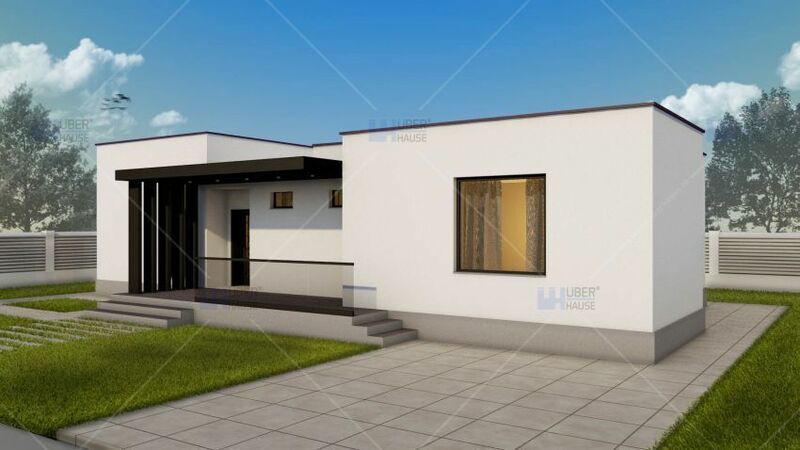 The first project is a modern house, stretched on a usable area of 105 square meters. 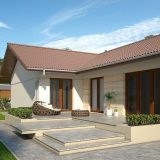 The house is suitable for a young and modern Family, which appreciates the dynamic lifestyle, but in a relaxing environment. Functional treatment of surfaces, facades lines and material contrast contributes to the contemporary architectural image of the house. 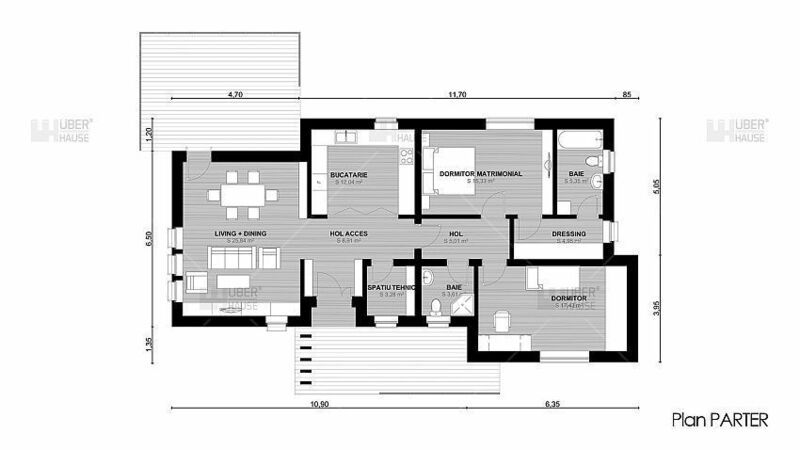 In the plan, the living spaces, with outdoor access, are positioned at one end of the building, while the bedrooms find their place in the other corner. The turnkey price of this house varies between 45,500 and 65,000, depending on the finishes. The next house we have included on our list is a place with a usable area of 75 square meters, a price to red 16,000 euros and a turnkey price of about 32,000 euros. 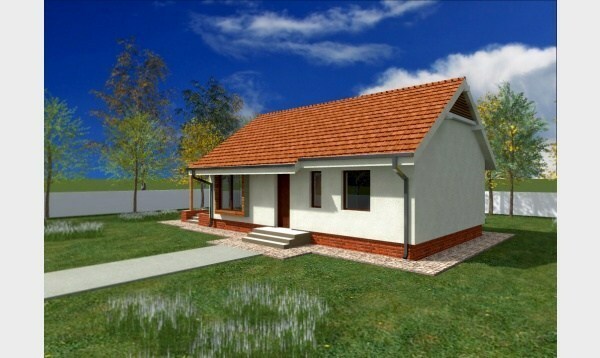 Thus the House has an open space area comprising the kitchen, living room and the dinner, two bedrooms and a bathroom.. 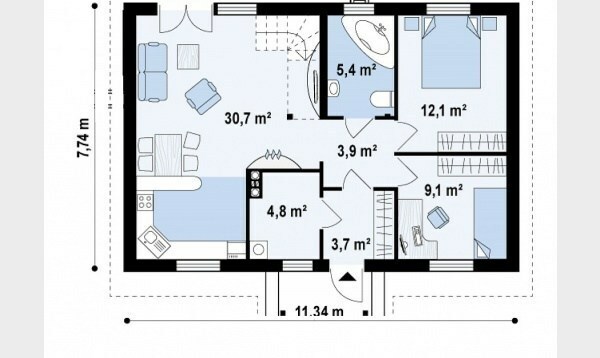 The third and last house has a built surface of 81 square meters and a usable area of 67 square meters. 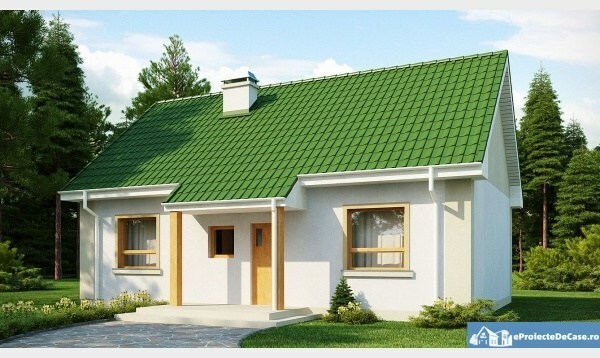 In terms of costs, the price to red is 15,000 euros, while the turnkey price reaches about 31,000 euros. 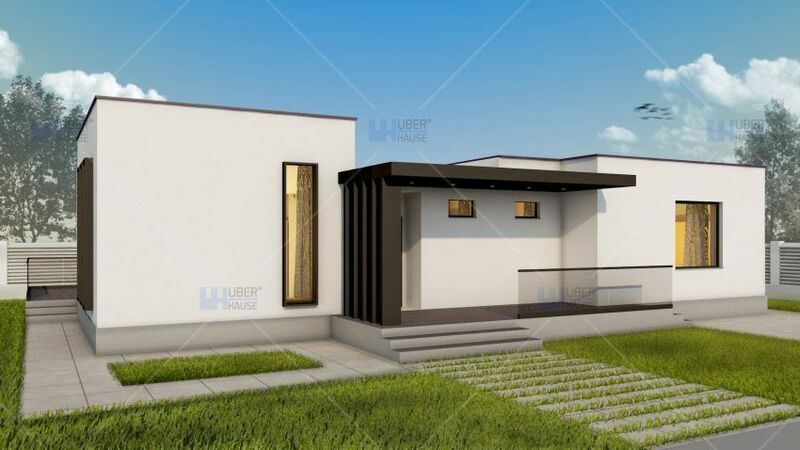 The construction plan proposes a bedroom, to which an office is added, but in need, this room can be transformed without any problem in a bedroom and thus, the House becomes suitable for a family with three or even four members. 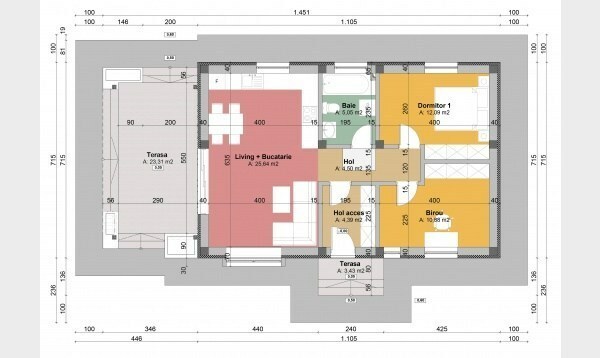 The two rooms are added to the kitchen, living room, bathroom and two terraces.